Unfortunately I couldn't meet the deadline for the Summer Reading Challenge at Out of the Past blog but I did enjoy trying. I will try again next summer but until then expect to see reviews from the books listed HERE and many others every month. 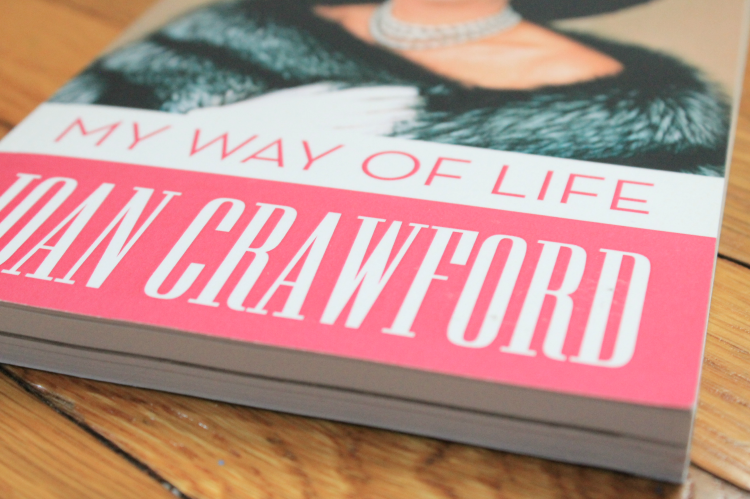 This is another great read that really allowed me too learn more about the screen icon Joan Crawford. I acquired this little treasure after I watched the wonderfully scandalous mini series called Feud (2017). 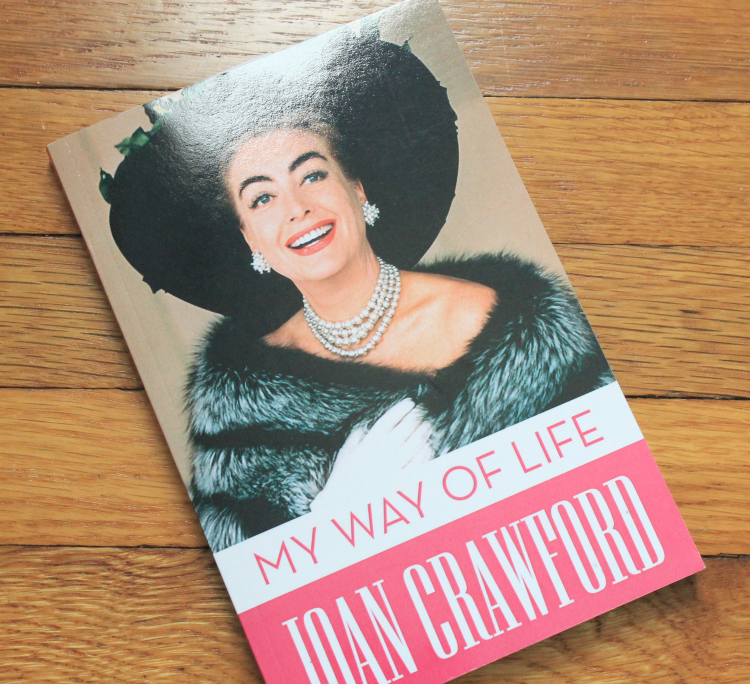 I became intrigued that the iconic Joan Crawford wrote a book about how she lives her life. The only way to find out what was inside it was to read it for myself. 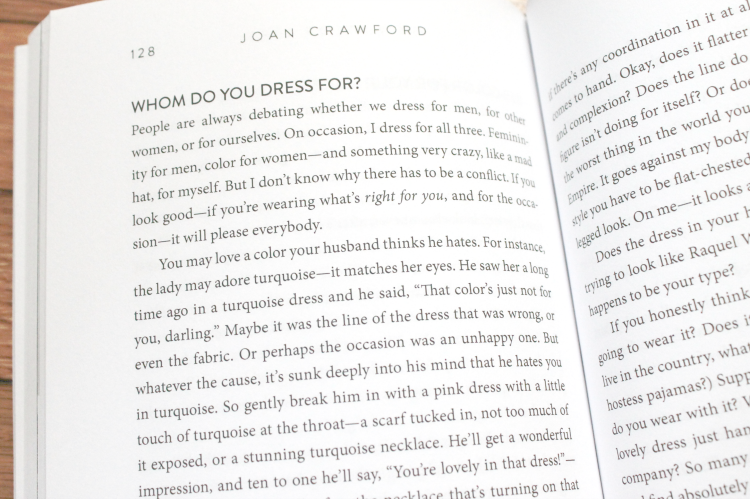 Throughout this little guidebook Joan shares in detail how she goes about various aspects of her life from how she spends her day to how she dresses for various occasions. It really seems like she wants the reader to benefit from her experiences. I will admit some of her writing seems a bit dramatic and overdone but she was a diva actress wasn't she? 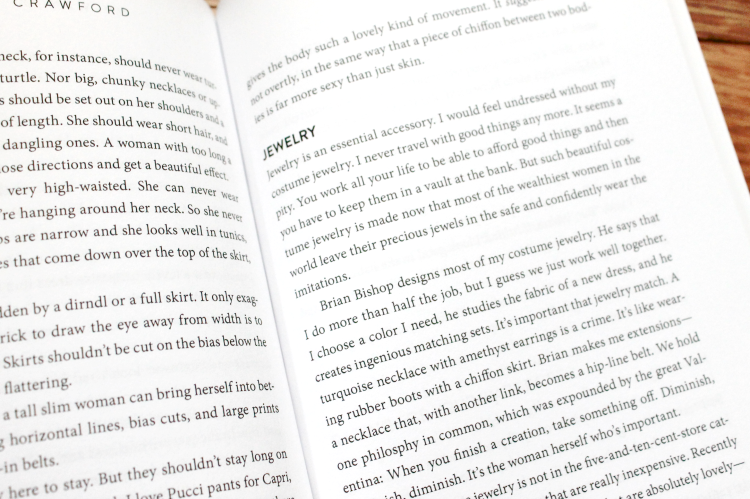 There are heaps of tidbits of useful and thoughtful advice as well. 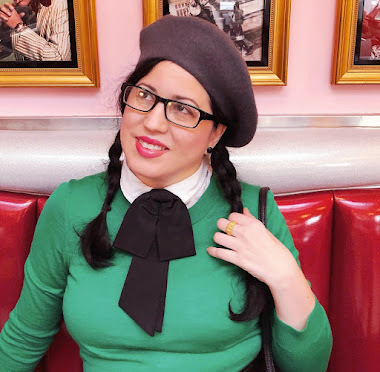 There is a part when Joan tries to explain how important it is that she utilizes each part of her day and how lucky women are that we can juggle so much in our lives. That we can be wives, mothers, career women, hostess, and a good friend. But she emphasizes the value of surrounding yourself with happy friends and that we ourselves should not inflict our problems on our friends. We should greet our friends with joy and deal with our own personal problems ourselves. She continues with writing, "How many people call you saying, "Oh, I woke up so tired this morning...I had such a terrible weekend...the day's awful outside." Being cheerful on the phone is part of giving. Sure, we all have our problems, but why inflict them on our friends? I think I can count on the fingers of one hand the people who call up with a cherry, happy voice--and keep it that way. People with problems seem to find that telephone irresistible. When they're happy they just don't think about sharing it with other people." When I read those words I thought to myself that this little book has potential and it really has. 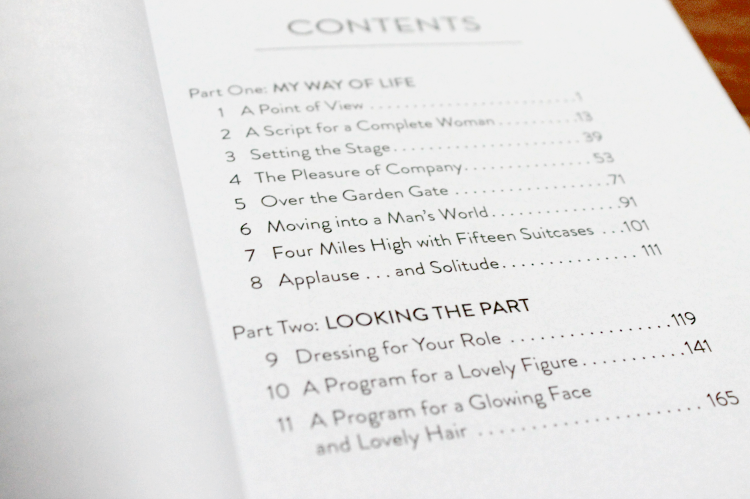 There is nothing you lose by reading Joan Crawford's My Way of Life (1971). The read is smooth and her words keep you engaged. I personally had a great time reading it and I actually felt as though I learned a few things from her. I felt like her advice was well meaning and that she really poured a bit of herself into this book. Whenever I read something that was written by someone in Old Hollywood themselves I find it to be extra special. 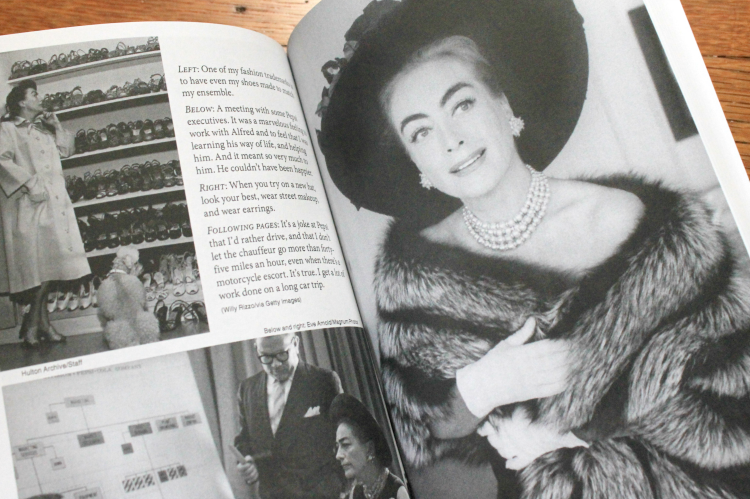 There is nothing neater than getting first hand accounts and this book is even more of a treasure because a great star like Joan Crawford shares what works for her and what doesn't. It is incredibly personal and although some might find it over dramatic and grandiose, I found it to be a really special read. I loved your review Daffny. I definitely had my eye on this one. I included your review in my round-up even though it was later. Just wanted to share! Thanks for the review. I'm interested in how other people live and their approach to life; and I especially enjoy those who have a positive life philosophy.